There was hardly any field of the plastic arts at which Chagall did not try his hand and go on to become a true master. One such field was the century-old art of mosaics, which had flourished in Roman times. Working with specialised craftsmen, he produced more than twenty mosaics for both public and private patrons in Europe, Israel and the United States. He also designed one for the Musee National Message Biblique Marc Chagall in Nice. Another three mosaics are in St Paul de Vence. One in the Maeght Foundation, one in the local school and one in his villa "La Colline". He produced thirteen mosaics for the Knesset in Jerusalem. His largest, The Message of Ulysees, was made for the law faculty of the University of Nice. This monumental work is 3 metres high and 11 metres long. The Four Seasons is one of his last and most beautiful mosaics. It was installed in the plaza in front of the National City Bank of Chicago in 1974 to great acclaim, in the presence of the artist. Composed of thousands of inlaid chips in over 250 colors, Chagall's mosaic The Four Seasons portrays six scenes of Chicago. It features a vocabulary of images informed by Chagall's Russian-Jewish heritage and found in his Surrealist paintings such as birds, fish, flowers, suns and pairs of lovers. 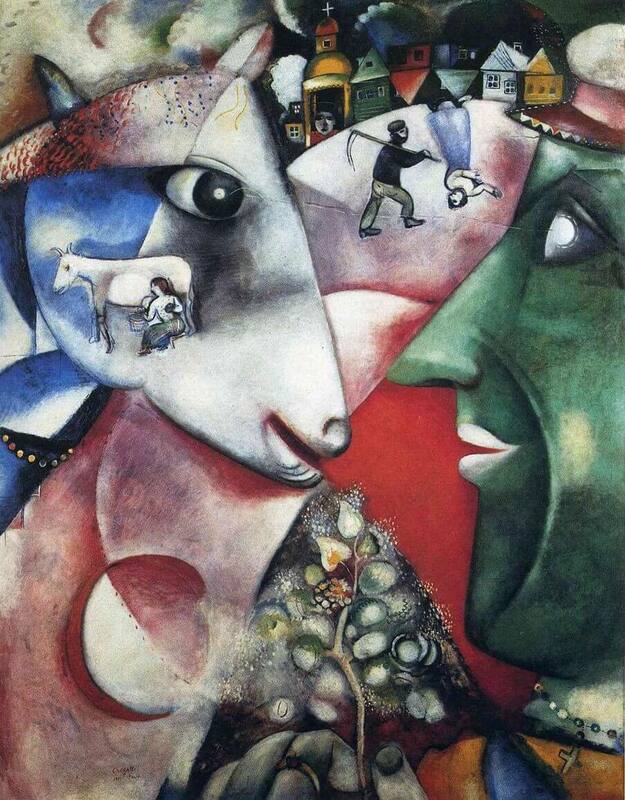 Chagall maintained, "the seasons represent human life, both physical and spiritual, at its different ages." 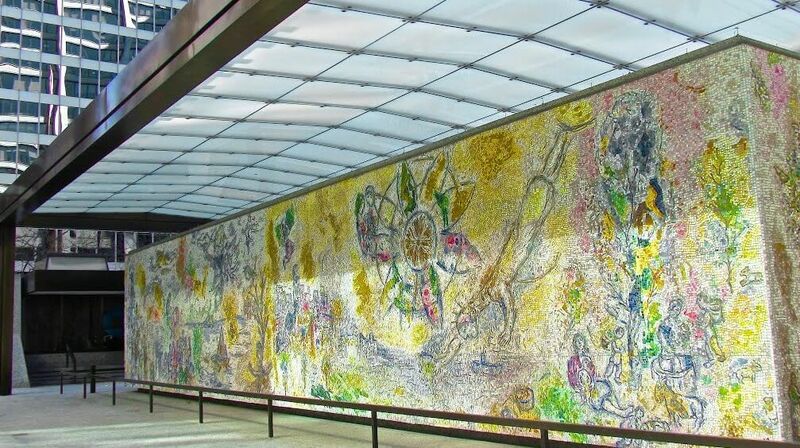 The design for this mosaic was created in Chagall's studio in France, transferred onto full-scale panels and installed in Chicago with the help of a skilled mosaicist. Chagall continued to modify his design after its arrival in Chicago, bringing up-to-date the areas containing the city's skyline (last seen by the artist 30 years before installation) and adding pieces of native Chicago brick.